The Maine State Board of Property Tax Review is scheduled to begin a hearing Thursday to determine whether Madison Paper Industries was overcharged for taxes the year the mill closed. 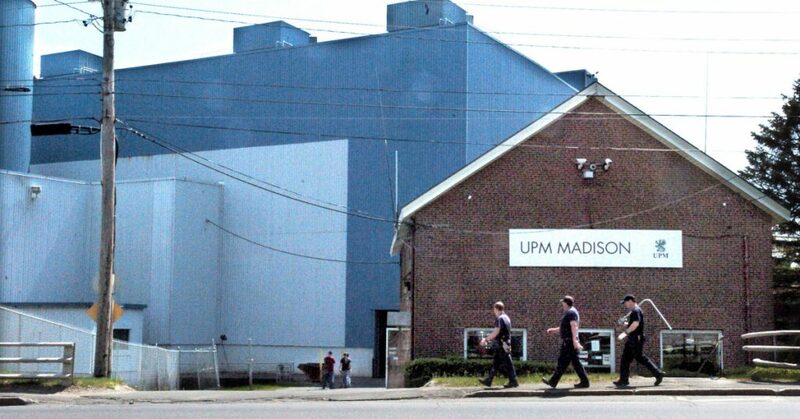 MADISON — Officials from the former Madison Paper Industries will appear before the Maine State Board of Property Tax Review on Thursday in an effort to try to recover about $1 million in property taxes the mill says it was charged unduly but has already paid to the town. The mill closed in 2016, laying off about 215 people, and shortly afterward asked the town of Madison for an abatement on its 2016 taxes. On Thursday, the state board will hear an appeal from the former mill that was filed after the town rejected that request, saying it already had reduced Madison Paper’s tax burden significantly in 2014 and 2015. The mill was assessed at $72 million in 2016 — down from $229 million in 2013 — and the town asked it to pay about $1.5 million in taxes. Madison Paper made the payment but has argued the valuation was too high for a facility that stopped operating in May 2016. It sought to have the property assessment brought down to $25 million, which would have required a payment of about $520,000 in property taxes. In a separate case, the mill’s current owner, Somerset Acquisitions, also has filed appeals with the state board for its 2017 and 2018 taxes. No dates for a hearing have been set yet in those cases, Madison Town Manager Tim Curtis said. “In both cases we felt the values were ridiculously low,” Curtis said of both the Somerset Acquisitions appeals and the appeal by Madison Paper that will be heard this week. However, Jonathan Block, an attorney for Madison Paper, said the company had conducted an independent appraisal that showed the value of the mill and its hydropower assets were worth less than half of what the town valued them at as of April 1, 2016. This week’s hearing, which will include testimony from both Madison Paper and the town, could last up to four days. If Madison Paper is successful in its appeal, the town could owe over $1 million for the taxes and interest, Curtis said, and would have to look at whether to borrow from a line of credit or dip into undesignated funds to pay back the taxes.